I never realized dystopian fiction could be this good. For the uninitiated dystopia is a vision, of an often futuristic society, which has developed into a negative version of Utopia. A Dystopia is often characterized by an authoritarian or totalitarian form of government. It often features different kinds of repressive social control systems, a lack or total absence of individual freedoms and expressions and a state of constant warfare or violence. So my book today ,fits this category perfectly. In this book there is an authoritarian form of govt. i.e Capitol , there is total lack of individual freedom , Katniss can vouch for that and there is struggle to survive . Also to add they love putting teenagers in the arena for those gruesome ‘ fight until death’ matches that are telecast . Think reality TV. Brutal and vicious reality TV .Ya, they kinda make a sport of killing teenagers with sponsors and all . Dystopia people ,what else did you want , pillow fights ? Can dystopian fiction get better than this ?I am sure it does in adult dystopian . But Hunger Games is a YA book and this is as brutal as it gets. If you really want a more depressing ( read really , really depressing ) dystopian/post apocalyptic book, go read The Road by Cormac McCarthy. 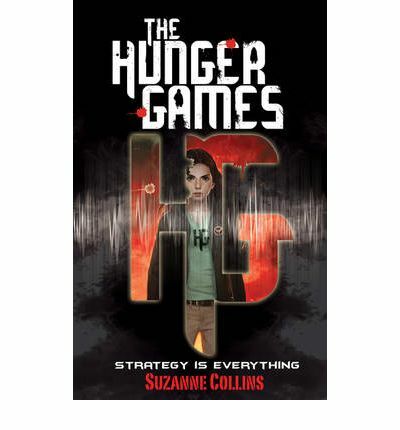 If you want a gripping , nail biting , tear shedding one read Hunger Games. I loved Katniss , I loved Peeta and loved the world Suzanne Collins created. I felt for every single kid put out there for a fight to live. I cried inconsolably when one of the characters was killed. I cheered for Katniss when she outwitted the Capitol . And now I am the newly initiated member of Team Katniss. There’s a lot going on for Team Gale and Team Peeta. I have no qualms as to with whom she ends up with but I know I like this book because it’s Katniss who stands out and makes you want to read on. Though I might add I am angling a lil on Peeta’s side but I will wait till I finish Catching Fire to see what I think about the whole Gale/Peeta issue. Highly Recommended. Can’t wait to read Catching Fire. I am sure the 2nd book will be as exciting as this one. And the 3rd book is abt to be released as well. So glad you enjoyed it. I liked Catching Fire even better.